Naomi is fantastic. had so much fun with the group. the cooking class was great! Miki was a fantastic and enthusiastic sensei in the kitchen!! thank you again! 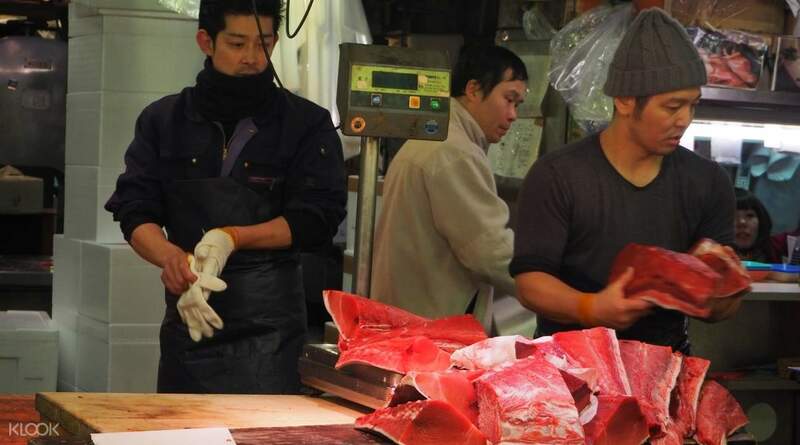 Go on a wonderful walking tour around the famous Tsukiji Fish Market in Tokyo, which is considered to be the world's largest seafood market. Here, you'll explore many of its sections, and you'll get a glimpse of the hustle and bustle that goes on daily. You'll see wave after wave of yummy seafood ingredients, many of which you can't find anywhere else on the planet. If you have some money to spare, you can purchase some ingredients that you might find suitable to your seafood palate. 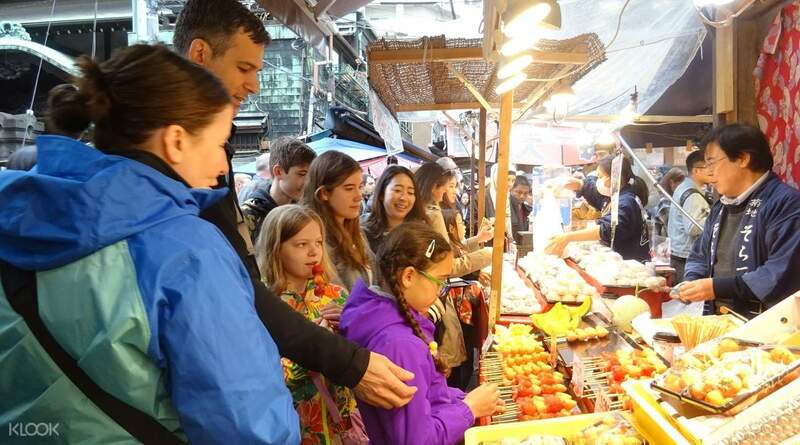 All throughout the tour, you'll be accompanied by a fun-loving, knowledgeable English-speaking guide who will tell you all about the rich history of the market and its culture as well as Japanese seafood traditions. The entire walk around the market is as educational as it is mouthwatering. 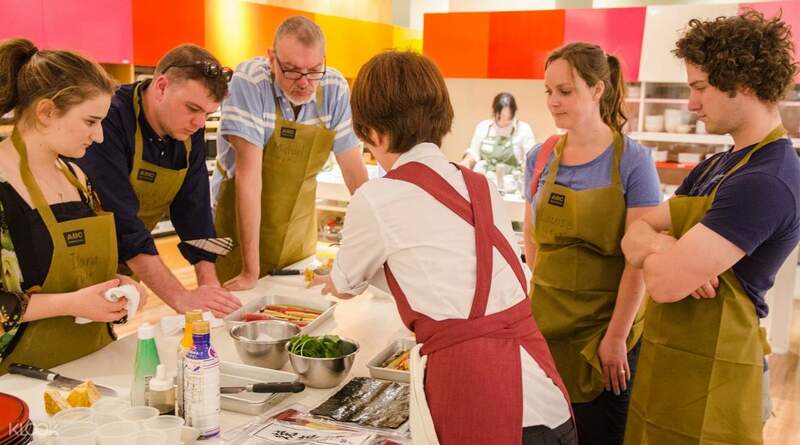 After the market tour, you'll be taken to one of Asia's renowned and largest cooking schools, the ABC Cooking Studio. 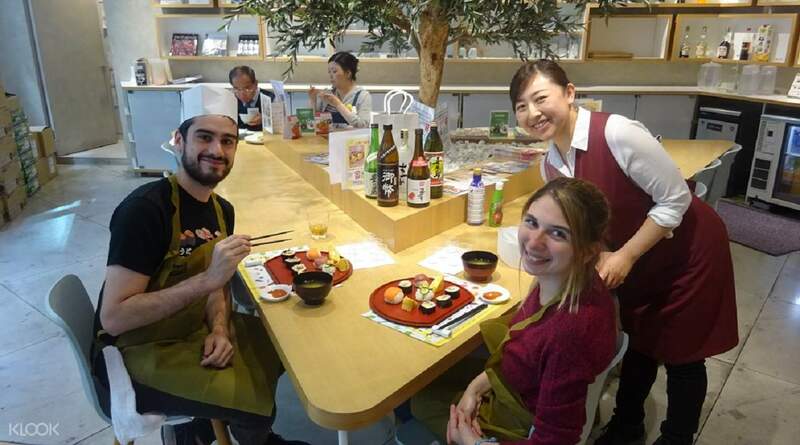 You're going to cap off the tour by learning how to cook an authentic Japanese sushi roll in a class, and once you complete it, you'll receive a gift and a certificate from the school to commemorate your experience. This tour is a must for seafood lovers and for those who love to cook, because you'll certainly take home some knowledge concerning Japanese seafood, and you can use that knowledge to inspire you to learn and cook authentic Japanese seafood, especially if you bought your own ingredients from the Tsukiji Fish Market. THIS WAS SO MUCH FUN. A big thank you to Naomi - the guide - for being so personable and bubbly; explaining about the market and knowing which stalls you can sample snacks from. Naomi also took wefies with us and emailed me a bunch of photos. Very nice (but I haven’t downloaded it yet hehe! Miwako was the instructor at the ABC studio and she was lovely! We had the best time rolling tamagos and sushi! And then enjoying our hard work in our mouth. Yum! The studio is near Ginza so you can do your shopping after. Thank you; this is a must-do!!! THIS WAS SO MUCH FUN. A big thank you to Naomi - the guide - for being so personable and bubbly; explaining about the market and knowing which stalls you can sample snacks from. Naomi also took wefies with us and emailed me a bunch of photos. Very nice (but I haven’t downloaded it yet hehe! Miwako was the instructor at the ABC studio and she was lovely! We had the best time rolling tamagos and sushi! And then enjoying our hard work in our mouth. Yum! The studio is near Ginza so you can do your shopping after. Thank you; this is a must-do!!! Naomi is fantastic. had so much fun with the group. the cooking class was great! Miki was a fantastic and enthusiastic sensei in the kitchen!! thank you again! Naomi is fantastic. had so much fun with the group. the cooking class was great! Miki was a fantastic and enthusiastic sensei in the kitchen!! thank you again!